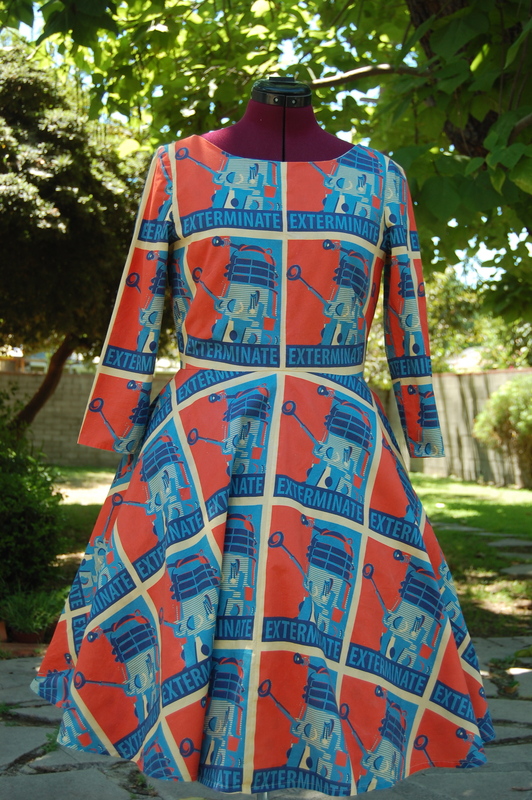 The fabric (from Spoonflower) is here. 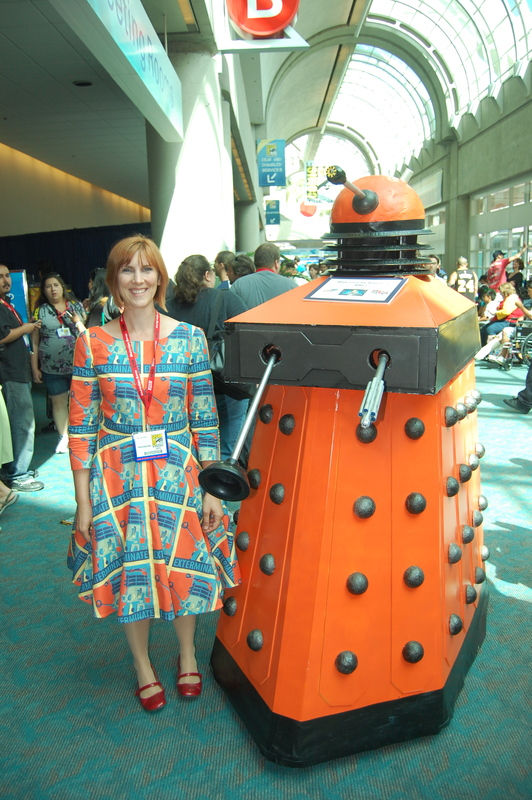 Can't get enough Dalek dresses? Scope the one in this pic.